In 2008, David Prenatt was driving a $100,000 BMW, wearing $30,000 watches, and giving away big bucks to area charities. But this Monday, Prenatt ​— ​a onetime financial wheeler-dealer from Montecito ​— ​walked into the courtroom of Santa Barbara Judge Jean Dandona attired in jailhouse-blue pajamas, bright-orange jailhouse-issue slippers and socks, a chain double-wrapped around his waist, and plastic cuffs around his wrists. 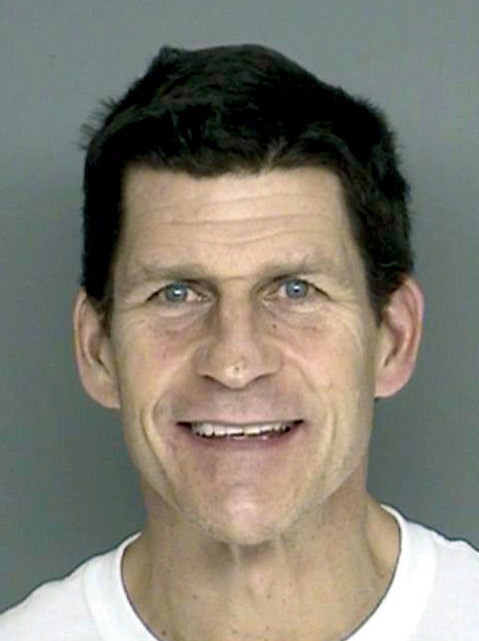 Prenatt ​— ​still tan, tall, and conspicuously athletic ​— ​was staring at 145 counts of securities fraud and thefts on charges that he bilked eight families out of $12 million. If convicted, Prenatt risked spending up to 50 years behind bars. Little wonder his mouth was drawn tight. On the second day of Prenatt’s preliminary hearing ​— ​to determine if there was sufficient evidence for a jury trial ​— ​Prenatt’s attorney Robert Sanger notified prosecuting attorney Brian Cota he wanted to make a deal. Shortly before the trial started, Cota had offered Prenatt a 10-year sentence if he pleaded guilty. At the time, Prenatt rejected it. Late Tuesday morning, Prenatt changed his mind. That 10 years will be served on top of the four-year sentence Prenatt got earlier this year for bank fraud in federal court. In an interview after the settlement, Cota explained he could have had difficulty securing a conviction because of the four-year statute of limitations. “A jury could have been convinced Prenatt did everything I said he did but still let him off because it wasn’t clear his investors knew … within the four-year window,” he said. <b>WHY IS THIS MAN SMILING?</b> Prosecutors said David Prenatt charmed and then scammed a number of well-heeled area residents. It’s Cota’s contention that Prenatt borrowed millions of dollars from sophisticated Montecito investors to pay off other investors. And that is the essence of what’s known as a Ponzi scheme. According to Cota, Prenatt juggled his investors ​— ​by rewarding them with “astronomically high” rates of return, in the words of one investor ​— ​and used the proceeds in a lifestyle of conspicuous consumption. Defense attorney Sanger countered that Prenatt, like countless investors, found himself financially destroyed by the Great Recession. Sanger insisted that Prenatt, unlike a typical Ponzi schemer, actually pursued numerous legitimate business ventures; but with one exception ​— ​a hotel deal ​— ​none happened to work out. The legal clock starts ticking when a reasonable person has cause to think he or she has been the victim of a crime. In June 2009, Prenatt had notified his investors he was broke; two weeks later, he said there would be no further payments. Investors, accustomed to monthly checks of $60,000, were forced to go cold turkey. Some, like Tom Konig, declared bankruptcy almost immediately to stay ahead of the IRS. Konig said he regarded Prenatt as a close friend; they’d taken a family vacation together. A savvy investor who lost $3 million, Konig said he never would have invested with Prenatt if he’d known of the other investors; he thought he was the only one. Under the law surrounding security fraud, a seller is required to divulge any and all relevant information to a prospective client. Failure to do so is just as much a crime as lying outright. Prenatt would plead guilty to seven felony counts of doing just that. “You know the expression ‘Let the buyer beware’?” said Cota. “That’s not the case here. Here, it’s ‘Let the seller beware.’” Prenatt is scheduled to be sentenced September 25.